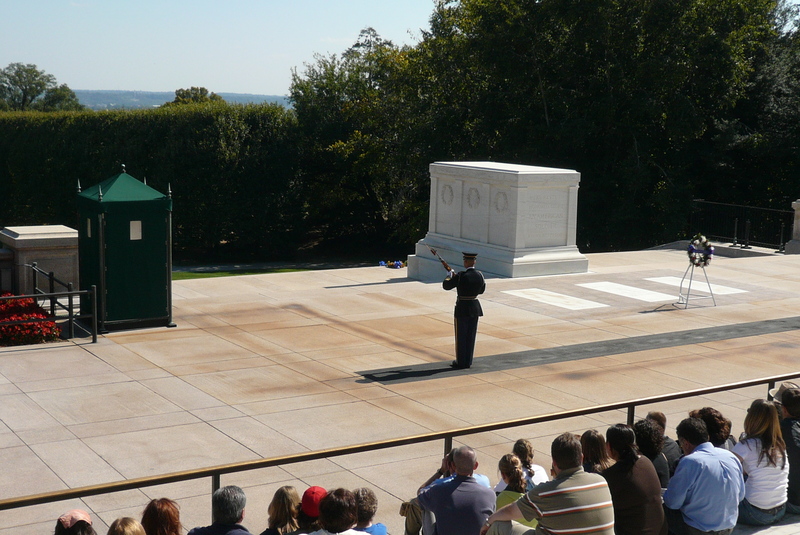 In early October 2007 I spent a week in the DC area and was lucky enough to have a Sunday for sightseeing. The weather was gorgeous and I had a really great day (almost with a sunburn). 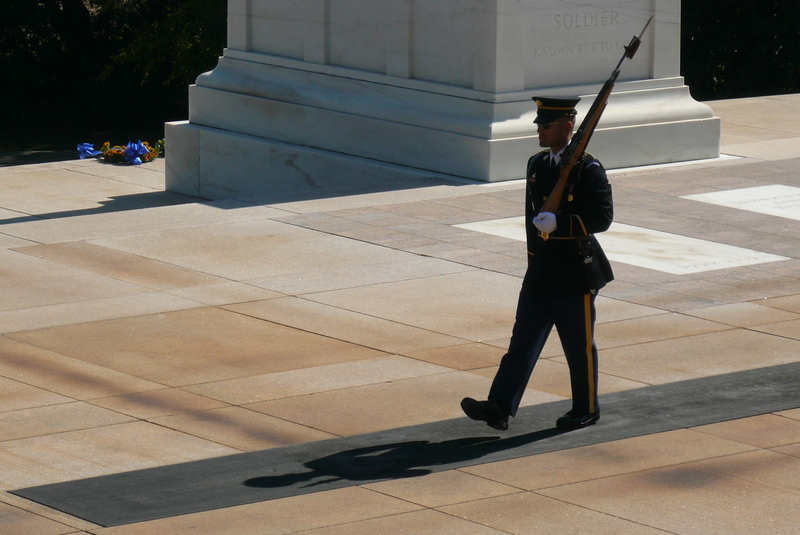 First I went to the Arlington National Cemetery, which is definitely worth a visit. I was rather surprised about the impression it made on me. 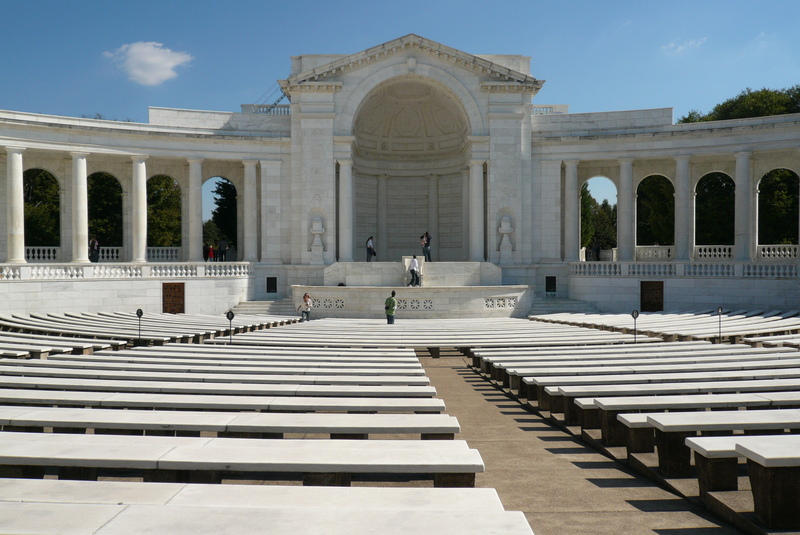 When I visited the cemetery of Verdun in France from World War I, it made me feel rather depressed. 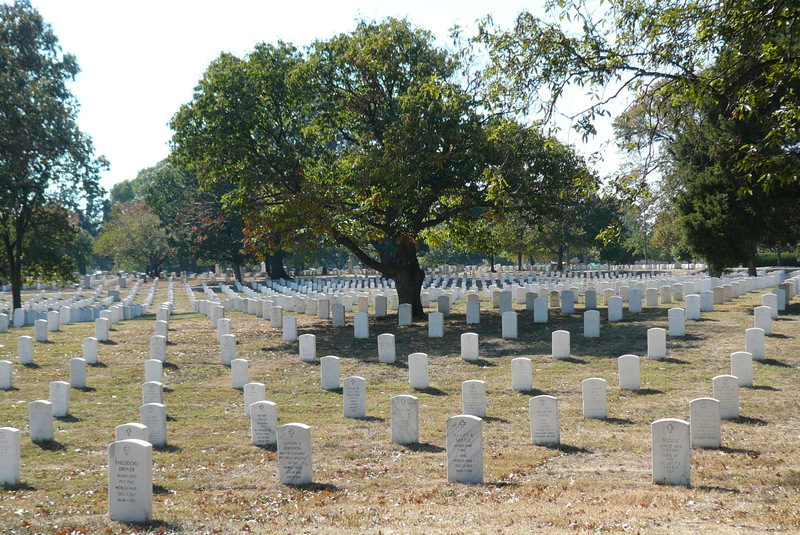 Especially if you see the enormously long lines of tombstones, all in a precise geometric formation, it doesn’t bring up happy feelings. Arlington was different here. Although it is most certainly not a happy place, it made me feel much more like on a normal cemetery. After that I drove into Washington and found a parking space near the Jefferson Memorial. From there I walked around to get an impression and was quite fascinated. Well, that’s what capitals are largely built for. I didn’t have comfortable shoes, so I only spent about 2-3 hours there, leaving out the White House and the Smithsonian (shame on me). But it was a great day anyway and will certainly try to get back.